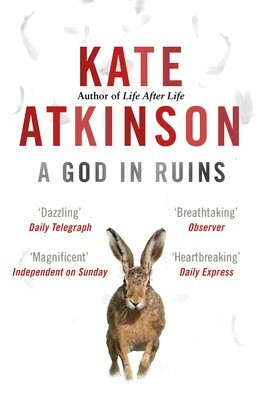 Kate Atkinson is a brilliant writer, and I admire her most when she’s writing about books and bookworms in her fiction. A God in Ruins is both a beautiful novel and a superb example of this. I read Life After Life back in 2013, a novel in which Ursula Todd lived through the turbulent last century over and over again. Now, in its 2015 companion novel, A God in Ruins , the narrative turns to Ursula’s brother. Teddy is a would-be poet, heroic pilot, husband, father, and grandfather, and we watch as he navigates the perils and progress of a rapidly changing world as well as a future he never expected to have. Creating a list of books mentioned (or alluded to) in A God in Ruins would be quite the task. Teddy researches Blake while his wife, Nancy, decodes German codes at Bletchley Park. Again and again appears Gerard Manley Hopkins’s “ah! bright wings”, extracted from “God’s Grandeur”. As Teddy trudges off to work as a banker, I thought of T. S. Eliot’s own discontented banking career in London before he turned to writing full-time. She had never been without a book for as long as she could remember. An only child never is. Literature had fuelled her childhood fantasies and convinced her that one day she would be the heroine of her own narrative. 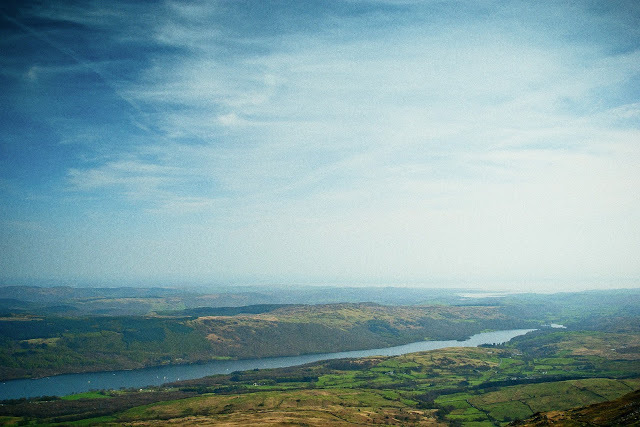 Throughout her teens she inhabited the nineteenth century, roaming the moors with the Brontës, feeling vexed at the constraint of Austen’s drawing rooms. Dickens was her – rather sentimental – friend, George Eliot her more rigorous one. Viola was currently rereading an old copy of Cranford. Mrs Gaskell did not feel at home in Adam’s Acre, where the reading matter ran from Hunter S. Thompson to Patanjali’s Sutras with not much in between. A memorable moment of A God in Ruins? Much have I travell’d in the realms of gold. The world is charged with the grandeur of God. Full fathom five thy father lies. Little lamb, who made thee? Though worlds of wanwood leafmeal lie. On that best portion of a good man’s life, his little nameless unremembered acts of kindness and of love. Farther and farther, all the birds of Oxfordshire and Gloucestershire. Rather than going into details, I’ll leave you with the pleasure of finding the context in the novel by yourself. But I will explain where the quotes come from. The first phrase, “Much have I travell’d in the realms of gold”, is from “On First Looking into Chapman’s Homer” by John Keats. “The world is charged with the grandeur of God” is from Gerard Manley Hopkins. “Full fathom five thy father lies” is Shakespeare’s The Tempest (note: this is a correction, I previously attributed it to Plath). “Little Lamb, who made thee?”, William Blake. “Though worlds of wandwood leafmeal lie” is Hopkins again. “On that best portion of a good man’s life, his little nameless unremembered acts of kindness and of love” is from William Wordsworth’s “Tintern Abbey”. It’s a phrase that always brought tears to one of my university lecturers (alongside most lines of Wordsworth, really). And finally, the quote that captured my attention as I first turned to this page, is from Edward Thomas’s “Adlestrop”: “Farther and farther, all the birds of Oxfordshire and Gloucestershire”. How better to sum up a literary life? He had made a vow, a private promise to the world in the long dark watches of the night, that if he did survive then in the great afterward he would always try to be kind, to live a good quiet life. Like Candide, he would cultivate his garden. Quietly. And that would be his redemption. Books, kindness, and living “a good quiet life”. If that’s what I take away from this novel , I think that’s a fine outcome.